Furious parents have accused a council of ignoring repeated allegations of neglect and abuse of disabled children in two of its schools. Disability News Service (DNS) has spoken to six families, all of whom have complained about the way their children have been treated. They say that school governors, Wigan council, Ofsted and the Department for Education have all failed to act, a claim all four bodies deny. Most of the allegations concern Landgate School and College, a special school in Wigan for children with autism, although a mainstream school in the town also faces allegations. Despite a string of claims of abuse and neglect made over the last four years, the six families believe that not a single member of staff has been disciplined. One allegation is that a young girl, Amy Houlton, came back from an outward bound trip last year with what appeared to be burns or a rash on her skin, because her incontinence pad had not been changed all weekend. Although the council found the claims were “unfounded” and the burns could have been caused by “being in a harness for most of the day”, the school was still told to “improve their recording of events while away from school, ie changing of incontinence pads”. One of the parents, Janet Houghton, has also told DNS how she sat in a school assembly and watched a member of staff repeatedly prodding her son Jacob and then yanking his head up, by pulling on his protective helmet. The noisy assembly and the actions of the staff member made Jacob so anxious and distressed he ended up being dragged out of the hall by three members of staff, in front of his horrified mother. Jacob was also left all day in his incontinence pad, on at least two occasions. In November 2010, a mother visiting the school – Caren Taylor – witnessed a second incident in which a member of staff flung open the door to the reception area so hard that it hit the wall, before giving Jacob “a big, hefty push, so hard that he could easily have fallen”. Taylor, a former Landgate school governor and at the time chair of its parent-teacher association, lodged a complaint with the school, but was never interviewed about what she witnessed. Taylor was told she couldn’t be kept informed about the investigation because she wasn’t Jacob’s mother, while Houghton was told she couldn’t be updated on its progress because she wasn’t the complainant. The council admitted this week that following these two incidents, and a further complaint, “a number of actions were agreed for a member of staff in relation to further training, mentoring and supervision”. Meanwhile, Taylor’s own son Reiss had dropped from six-and-a-half to just four stone in weight because of rapid changes in his classroom. Reiss was eventually admitted to hospital with dehydration in December 2010. Taylor pulled Reiss out of the school in March 2012 after witnessing him being shoved heavily away from a door and against the wall with an elbow by a member of staff. Her complaint came to nothing. The council has so far not commented on this incident. Another parent, Philip Edwards, has described how his teenage son Daniel came home from Landgate last month (September) with a broken bone in his foot. Because the school could not contact his family, they just sent him back home on the school bus at the end of the day, without taking him to hospital. His family also complained to the school after Daniel kept being sent home without his incontinence pad being changed all day. The council has not commented on these allegations. Another young boy with autism, Robert Leigh, was sent home by the school on the bus when he was on the list to attend an after-school club, even though there was no-one at home but his 14-year-old brother. The council has admitted issuing a formal apology for this “mistake”. The families have also been told by another mother how her son fell off a horse on a school trip, but was sent home without his parents being told. He was later diagnosed with a broken clavicle. Again, the council has yet to comment on this allegation. Another mother, Diane Kay, has complained to the council about the treatment her disabled son Alfie has been receiving at a mainstream school in Wigan, Wood Fold primary. She and her husband became so concerned that they placed a recording device in his wheelchair. They say it picked up their son being shouted at and smacked by a member of staff, while another pupil later came forward to tell them she had seen Alfie being smacked by a staff member during playtime. When the couple complained in April, social workers said they wanted to assess the family, and threatened them with the police when they refused to co-operate. The Kays have now lodged a disability discrimination claim with the special educational needs and disability tribunal, and told the council they will hand over the 13 hours of recordings of the alleged abuse once it promises to launch an investigation. The council claims that it “carried out a thorough investigation involving the police and other agencies”, while Ofsted had inspected Wood Fold and published a report this week rating the school as “outstanding”. A letter from Ofsted to the Kays confirms that information they provided “raises safeguarding concerns”. Adrian Hardy, chair of governors at Wood Fold, said Ofsted had judged it an “outstanding school” with “happy children and parents who have confidence in the care and education we provide”. He said the school had “co-operated fully with Wigan council and Greater Manchester Police in an investigation into Mr and Mrs Kay’s concerns”. And he said he had written to the Kays to ask that any material they have “which could assist in the investigation should be given directly to the council”, although the “agencies involved in the joint investigation have however reviewed all the extracts of the tape that the family have been prepared to share via social media”. The six families – who are supporting each other as they campaign for a proper, independent investigation of all of their claims – believe their complaints have either been ignored, or the school and council have conducted brief investigations which have concluded that the allegations are “unfounded”. The families met with the council’s chief executive, Donna Hall, three weeks ago. But none of them believe that this will lead to action. Wigan council insists that it looked into the complaints made about Landgate and is “satisfied that each of the cases reported to the school has been investigated appropriately and in some cases with involvement from the police, social care and the local authority designated officer (LADO)”. It said it was “confident that practice is not a concern” and that this conclusion had been ratified by both Ofsted and a two-day “independent” safeguarding audit in 2012. But the audit did not look at the allegations themselves, or interview the families, and the council has so far failed to detail the report’s “independence”. The council said this audit – which appears to have concentrated mostly on records and other paperwork – found “no major concerns but some points for action”, while officers “continued to work closely with the school for the next 12 months to ensure that they were implementing the recommendations both from Ofsted and the audit”. Anne Goldsmith, director for children and families at Wigan council, said that she and Hall had met with parents and were trying to agree with them a “suitable independent person” who could work with the council and parents to “find a way forward for each family”. She said the council had an “excellent reputation for special education”, and was picked by the government to be a “pathfinder champion” for its special educational needs and disability reforms. Goldsmith said that councils were no longer responsible for managing complaints about schools, but that in these six cases it had “gone above and beyond our legal obligations by carrying out our own investigations”, with complaints about both Landgate and Wood Fold found to be “unsubstantiated”. 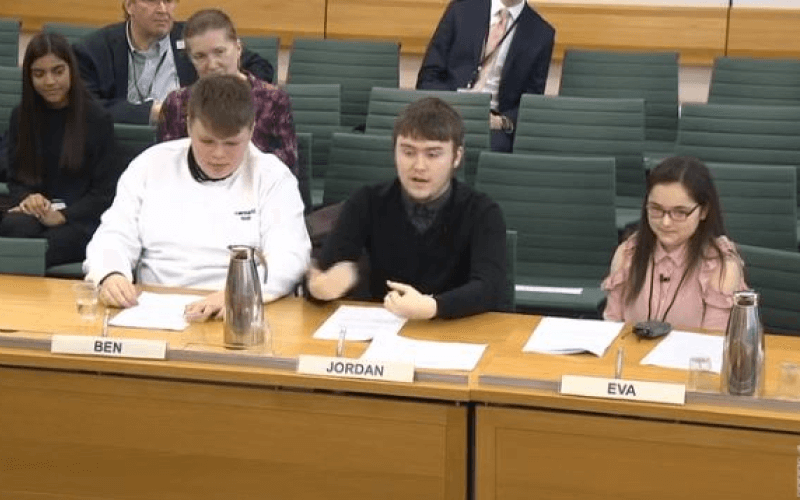 The six families wrote to Ofsted in June to raise their joint concerns about the allegations and the council’s role as a government “pathfinder”, but Ofsted has refused to comment on claims that it has refused to take any action in Wigan. The Department for Education refused to comment on its failure to act over the allegations, while Landgate has also so far refused to comment. Janet Houghton said that Jacob’s behaviour became “so challenging at home that we were unable to take him into the community as we simply could not manage him and his lashing out”. In an email sent to Wigan council in April 2012, she said: “I have no qualifications in autism or challenging behaviour, just the experience of living with it every hour of every day. “I do know, however, that shouting at a child with autism for anything, labelling them as ‘naughty’, expecting them to behave ‘normally’ in a noisy room and expecting them not to react to something that upsets them is abhorrent. After home schooling her son for two months, she found Jacob a place in an out-of-borough school. Edward Houlton, Amy’s father, who is a Conservative councillor in Wigan, said the treatment received by his daughter was “gut-wrenching” and “heart-breaking”, and that it was “outrageous” that the allegations concerning her and the other families were being covered up. He has now taken his daughter out of Landgate, and says she is in a “safe and happy environment” at a school outside the borough of Wigan. Houlton, who was previously a governor at Landgate but quit earlier this year, said he had told both the chair of governors and Ofsted about the alleged abuse. Robert Leigh’s mother Janet said she ended up home-schooling her son for an entire year because the school had made it so difficult for her to talk directly to her son’s teachers. She had lodged three complaints within just 12 months, two of them about communicating with the staff, and said she just “lost trust in the school”. The school had eventually let her speak to Robert’s class teacher, but only after informing her by letter that the correct procedure was to contact the pastoral manager first, and that she could then only then speak to a teacher if it was “vital”. Leigh said: “Robert used to come home from school a nervous wreck. He was very agitated. But because he just says the odd word, you wouldn’t get out of him what was going wrong. Caren Taylor had to home school Reiss for 13 months, while her husband had skin cancer, after the incident in which her son was elbowed aside by a member of staff. She said: “We are yet another family who have been forced to educate our child with autism out of borough, because of the inadequacies of Landgate School. “It costs us £130 a month to transport our son, as the council have refused transport. “Although this is a huge financial burden to us, it is essential, as it gives us peace of mind knowing our son is safe. Diane Kay says the recordings of her son show that he was treated “very much like an object that has to be transported around school”. She said: “His behaviour at home had deteriorated; he was like a sulky teenager who was having tantrums. “He seemed to be constantly exhausted and when we picked him up from school, Alfie would be slumped over in his wheelchair. He would sometimes cry when we said hi to him, as if in relief.